Tony Abbott. A personality profile. Daily we are subjected to comment on the Liberal government. They rang from propaganda to outright slander. In this post, I will try and take a step back and look at the facts. Analyse what we know of our Prime Minister Tony Abbott. What sort of person is he? Aside from the media performance, what does he really think? What are his core values and what evidence do we have to support those views? Here is a personality profile based on what he has done. Supports traditional rather than progressive social views. An obvious place to start is his background as a trainee priest. His views indicate a core belief in conservative Catholic values. He is probably closer to Cardinal George Pell than to the Pope on what he sees as traditional values that should be upheld. On topics such as gay marriage, the environment, removal of secular school counselors, and introducing knighthoods he adopts a traditional rather than progressive view. In spite of what some people may think, he does seem to be intellectually capable. He did get a Rhodes Scholarship. Being capable does not necessarily mean you can make smart decisions. It merely means you have the mental capacity to understand concepts and pass exams. If he were at school today, he would probably be considered bright, but not necessarily creative or inventive. Julia Gillard branded him a misogynist and in her case, he was. On the other hand, he does have a family of daughters, and his closest advisor – Peta Credlin – is a woman. In that sense it is a contradiction. 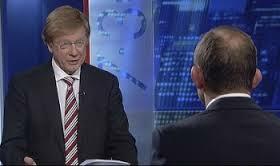 It is interesting to watch him in a conversation with a woman be it Leigh Sales or Julie Bishop. He seems uncomfortable. He is much more relaxed in a group of biking mates. Some would call it ‘blokey’. One measure of sexual equality is that any conversation should be similar regardless of whether the person you are talking with is male, female, gay or transgender. It seems different with Abbott. He seems to change his approach when dealing with a woman. Sometimes it is more aggressive, sometimes more respectful, sometimes condescending. With most males he is just ‘blokey’. Women seem to pick up on this which is probably why his vote with women is lower than with men. One of the great interviewing moments in Australa was the ABC 7:30 Report in 2010. When Tony Abbott was asked about inconsistencies in his pledges on maternity leave. The answer was naive at best, and stupid at worst. It was however a glimpse of the truth from a man renowned for spin. “Politicians are going to be judged on everything they say, but sometimes, in the heat of discussion, you go a little bit further than you would if it was an absolutely, uh, calm, considered, prepared, scripted remark,” Mr Abbott said. The look on Kerry’s face was like a man who could not believe what he was hearing. He then asked whether “every time you make a statement we have to ask you whether it’s carefully prepared, or on the fly”. “Is that why your colleagues over the years have come to call you the weathervane?” Kerry asked. 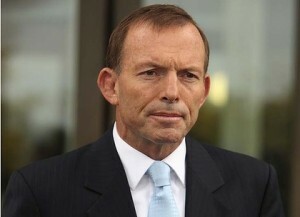 “And, some, and some, and some people Kerry, will judge me very harshly,” Mr Abbott conceded. “Well again, I think, that, most of us know, ah, when we’re talking to people, when we’re listening to people, I think we know, um, when, ah, we can put absolute weight, ah, on what’s being said and when it’s just the give and take of standard conversation,” Mr Abbott replied. On numerous occasions he has been caught out contradicting what he has said, and trying to rewrite previous announcements. Think of these topics. No changes to super; no new taxes; reducing the deficit. Society has a view that politicians lie, but Abbott is way ahead of the pack. Is combative rather than a negotiator. Negotiation is a form of weakness. His pugilistic background is well documented. In opposition, he was considered a major success if the measure was to undermine the government at any cost. If, on the other hand, the measure was to support good policy regardless of who proposed it, he was an absolute failure. He was at his most popular, and most effective, when punching the Rudd/Gillard governments. After the tied election in 2010, when whoever negotiated with Katter, Oakeshott and Windsor would hold power, Abbott made little effort to negotiate. This was even though these were ex-Nationals who should have been closer to the right than the left. Democratic government is the art of compromise. Nobody gets everything they want. Abbott has failed with so many initiatives because he will not negotiate. He wants to beat the opposition into submission. Even when dealing with his own cabinet he has tried to railroad changes through without consultation. The most recent was the removal of citizenship. There are some aspects of Keating and Whitlam that are similar to Abbott. Keating and Whitlam were more comfortable leading from the front rather than negotiating. Once they decided on a course of action, they didn’t spend time discussing it. They just did it. The main difference to Abbott is that both Keating and Whitlam were long term visionaries. What they achieved in their time benefited Australia in the following decades. They may have moved too quickly for the general population, but their vision of the future proved sound. On the other hand, Abbott seems to have an uncanny ability to think only short term. The paid parental leave scheme is a fine example. The first budget had no long term vision for Australia. Just short term measures that had not been thought through. If he was a soldier, you would send him to attack the enemy in the next trench. You would not ask him to manage the campaign. That was a few decades ago, but his approach is still the same. Jumping up to speak at the “Ditch the Witch” rally; threatening to shirtfront Putin; telling Angela Merkel that our attitude to China was driven by fear and greed. The list goes on. He will take any opportunity to promote himself regardless of whether it is appropriate or morally acceptable. Witness the leaks from cabinet about his autocratic style. Combine this with his attitude that negotiation is weakness and you have a man who just wants his own way. Many of the negative things the government has done could have been avoided if he had listened to his colleagues and the public. They range from the paid parental leave to the first budget, to citizenship removal and trying to fund climate change deniers in university posts. His approach to management is to have absolute control. Crush anything that stands in your way. Here are a couple of examples. Shut down talk about boat turnbacks with Operation Sovereign Borders. Bring in laws to prosecute people who criticise refugee camps. Gillian Triggs. Hold enquiries on the ABC. Bring in laws on metadata to allow spying on anyone. Initiate investigation on the trade unions in the hope some mud will be thrown at Bill Shorten. Disband the Renewable Energy Agency. Give ministers power to remove citizenship. Remove the Arts Council and allow the minister to allocate arts funds. Need I go on? He has disbanded dozens of independent bodies and centralised power to his government. Speak out, and your funding will be cut. He has decided that if he wields the power to allocate money, and speak on behalf of a group, he can control the topic. And we thought we lived in a democracy. It is getting more autocratic every day. If you cannot impress the electorate with your ability to manage the country, make them afraid enough to not want to change government. This is the basis of current political directions. We are constantly reminded of how tough the Abbott government is on terrorism. Don’t let those ‘namby pamby’ Labor people in power or something bad might happen. Previously it was the hoards of boat people coming here. I previously spoke about the reality of refugees by boat in another post. Refugee resettlement and refugee intake They numbers do little to disrupt Australian society. Business do it all the time. If wages increase, the world as we know it, will end. If we apply a tax to mining, the industry will close down. If we implement environmental controls, the business will collapse. This one is self evident. 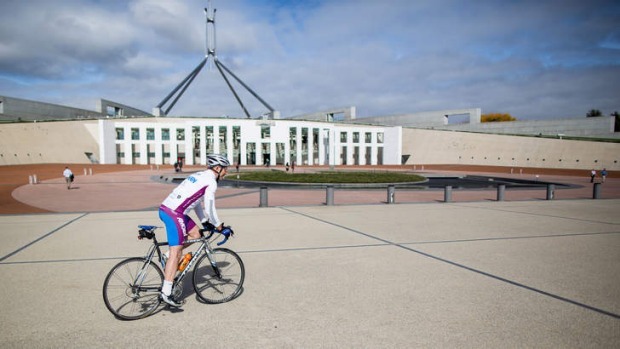 Tony Abbott is prepared to go to extraordinary lengths to support big business. For example, he cut 400 jobs from the Industry department; reduced tax office staff; reopen 457 visa loophole to allow more and cheaper foreign workers into Australia; wants to have universities set their own fees; undermines Medicare by trying to cut doctors payments; abolishes the Fair Work Building and Construction Independent Assessor; Describes coal as “good for humanity” while opening a coal mine in Queensland; supports a reduction of penalty rates and other Award minimums in a submission to the Fair Work Commission’s review of all Awards; abolishes one third of the jobs in Treasury costing approximately 300 jobs. I could go on, but it is clear that he believes big business is the main driver of Australia. What he has not done in the business sphere is telling. Implement an effective mining tax; increase taxation for high income earners; take action against multinationals who reduce their taxation by various tax loopholes; change super to remove tax concessions for high income earners; provide educational funding as per Gonski to reduce long term unemployment. The list could go on forever. All these curtail the operation of big business and ensure they make a fair contribution to the society that supports them. This is evident from his cuts to organisations like SBS, the ABC, CSIRO and the Renewable Energy Agency. He seems to believe government should get out of any area that big business may, or may not want to get involved with. Once again, it is his philosophy that the less a government does, the better Australia will be. I don’t think he would go as far as to allow people to starve to death, but he certainly believes we are receiving too much support from the government. Here are some examples. Proposal for a 6 month wait period for unemployment benefits for under 25’s; removed poverty reduction from the goals of the foreign affairs budget; cut welfare payments to orphans of soldiers; sack the National People with Disability and Carers Council; cut $500 million from indigenous programs over five years; slash Disability Support Pensions by indexing to inflation; reduce Medicare and Pharmaceutical Benefits Scheme safety nets; freeze the Family Tax Benefit A at a set income level regardless of the number of children. Enough? His views would sit comfortably with the US Republican Party. If he was in the US government he would be leading the charge on Obamacare. For some reason he believes if a person is in a vulnerable situation, it is all their own fault. Abbott believes we have a superior right to existence than other people. He cuts overseas aid. He treats refugees in a way no Australian would be treated. He defies criticism from the United Nations on how we handle refugees. “We will not be told what to do by the UN.” His approach to carbon reduction is insular. We are too small to do anything about it. It seems that somehow we are not part of the rest of the world when it comes to how we live. It is like a hangover from the white Australia policy of the 50’s. So here we have the man elected to guide Australia. A person who has trouble with the truth and believes in ‘whatever it takes’ to stay in power. A traditionalist who is uncomfortable with women. A short term thinker who believes we should trust big business will solve all our problems. The rich should be richer, and the poor have only themselves to blame. A lone wolf who would rather run the country as an autocracy. We can only judge a person by what they do. I have tried to look at the evidence and understand what sort of person we have as our PM. Can anyone put up facts that challenge my assessment? Tony Abbott has more in common with Menzies than Merkel.